Sign up for rugby league notifications to your device. Papua New Guinea: Mead (capt); Olam, Ottio, Macdonald, Lo, A. Boas, W. Boas, Albert, Puara, Page, Martin, Griffin, Aiton. Replacements: Baptiste, Minoga, Segeyaro, Maki. Wales: Kear, Williams, Channing, Gay, Grace, Davies, Seamark, Kopczak (capt), Parry, Joseph, Lloyd, Butler, Knowles. Replacements: Fozard, Hopkins, Evans, Morris. England suffered their 12th consecutive defeat against defending champions Australia in the opening game of the World Cup in Melbourne yesterday. Winger Jermaine McGillvary had given England the perfect start touching down in the corner after four minutes, but Wayne Bennett's side succumbed to Australian pressure, forward Matt Gillett's scored with a powerful run and finish before full-back Billy Slater barged over. Cameron Smith pushed the Kangaroos further ahead adding a penalty on 75 minutes and Josh Dugan scored an 80-metre interception try a minute from the end to crown an Australian victory. England prop Sam Burgess limped off in the first half clutching his right knee and assistant coach Denis Betts said the South Sydney Rabbitoh player will be unavailable until the semi-finals. 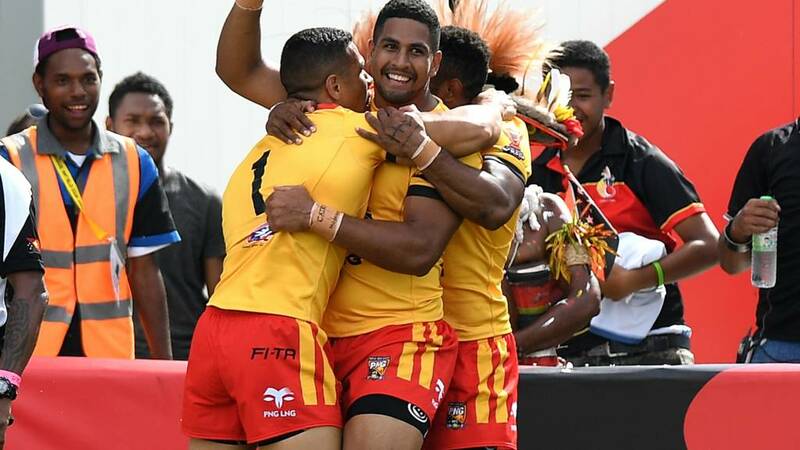 Read a report of the game here and watch highlights below of the pulsating opening game of the Rugby League World Cup. The Rugby League World Cup takes place over 36 days, with 28 matches being played across 12 venues in three different countries. England are in group A alongside reigning champions Australia. Wayne Bennett's side will be looking to surpass their efforts at the last World Cup in 2013, where they bowed out at the semi-final stage in dramatic fashion. Scotland are in group B which also includes 2013 finalists New Zealand, while Wales will battle it out with Ireland and Papua New Guinea for the one qualifying spot available in group C.
If you want more information you can visit our full guide to the Rugby World Cup here. Times are BST unless stated otherwise and subject to late changes. Sign up for notifications on the BBC Sport app. Want all the biggest sports news, analysis and event updates sent direct to your phone or tablet? Then download the BBC Sport app and sign up to notifications. You can now add Rugby League World Cup notifications for line-ups, goals, kick-off, half-time and results in the BBC Sport app. Visit this page here to find out how to sign up. BBC Sport explores five reasons why you should get excited about the 2017 Rugby League World Cup. Have you got World Cup fever? Fancy giving rugby league a go yourself? There are so many different versions of the sport, so there is something to suit everyone, regardless of your age, gender or ability. Visit our Get Inspired Activity Guide to find out how you can get started and our Activity Finder to get into rugby league near you.